KEN YUSZKUS/Staff photo. 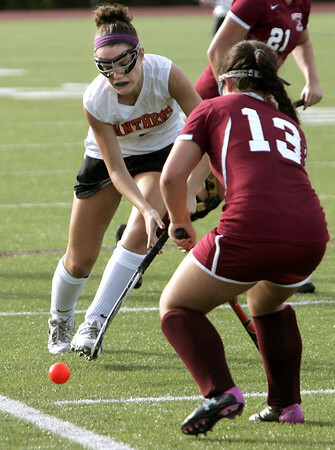 Beverly's Grace Otterbein moves the ball toward the net as Gloucester's Marissa Enes blocks her way during the Gloucester at Beverly field hockey game. 9/28/15.